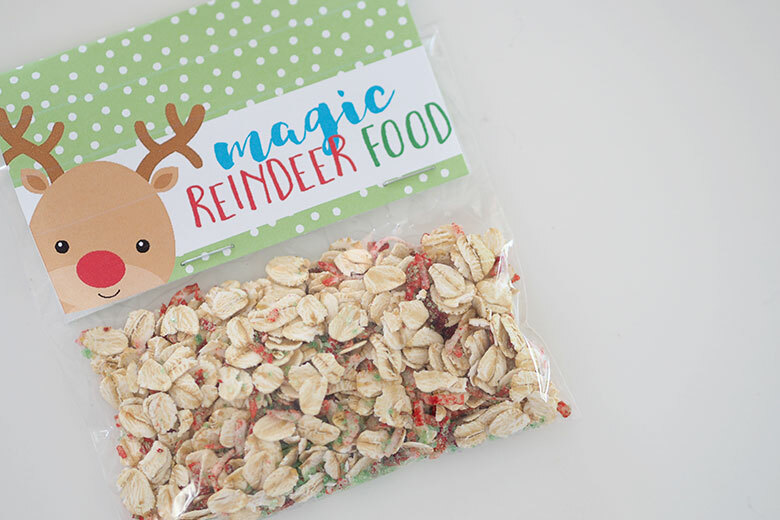 Magic Reindeer Food treat bags are an easy and inexpensive gift that the kids can give to their friends and kindy friends at the end of the year. It’s easy to spread the Christmas spirit with this adorable little treat. 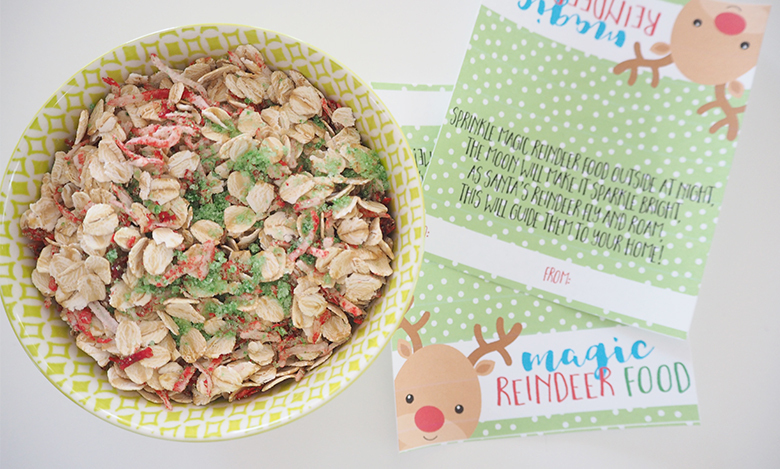 My kids used to (because they are now non-believers) sprinkle their reindeer food on the lawn at Christmas Eve every year so the reindeer had something scrumptious to eat. It’s a cute way to keep the magic of Christmas alive in such a simple way. 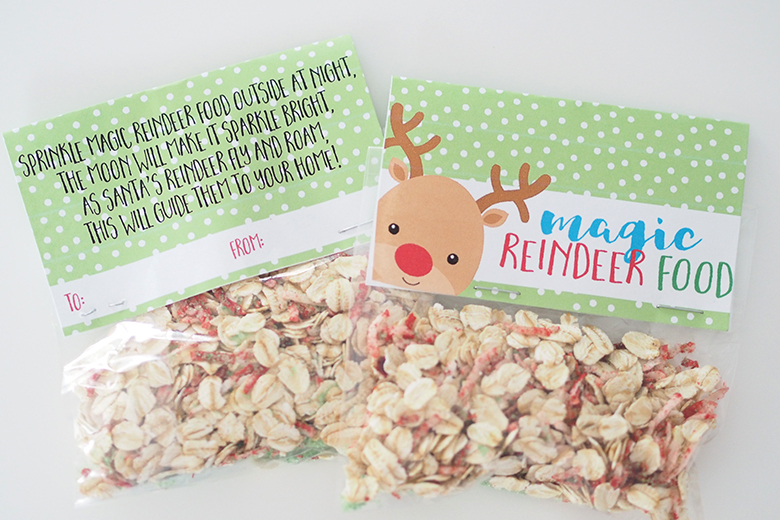 Sprinkle magic reindeer food outside at night, the moon will make it sparkle bright, as santa’s reindeer fly and roam, this will guide them to your home! and has space for you to pencil in who the bag is for and who it is from. 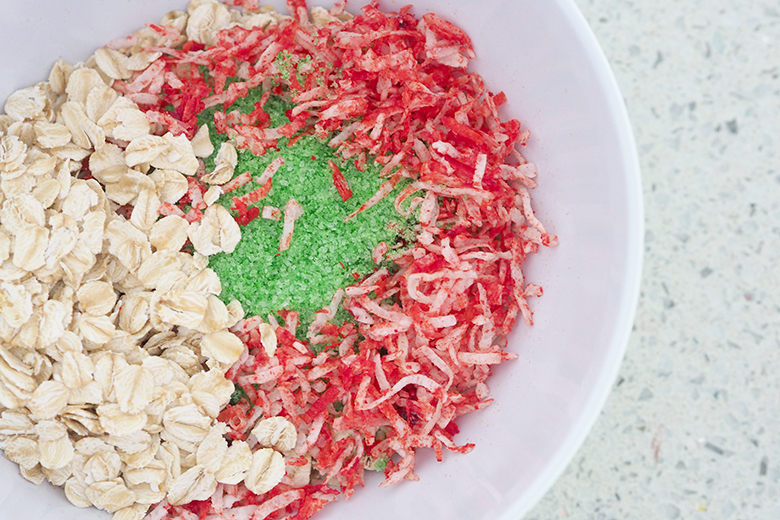 I like to use sugar and coconut in my reindeer food, rather than glitter as glitter can be harmful to wildlife. It really depends on how much you are making. I make a ratio similar to 1 cup oats to 1/4 cup coconut and 1/4 cup sugar. Again, it depends on how liberal you are with how much you add inside each bag. I usually added 1/4 cup to each bag. 1. 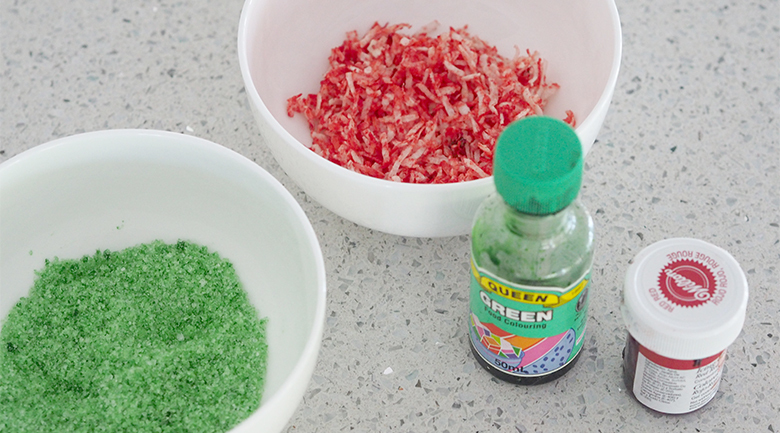 Add green colouring to sugar and red to coconut, mix. You will only need a drop or two in each to colour it. 2. Combine rolled oats, coconut and sugar, mix. 3. 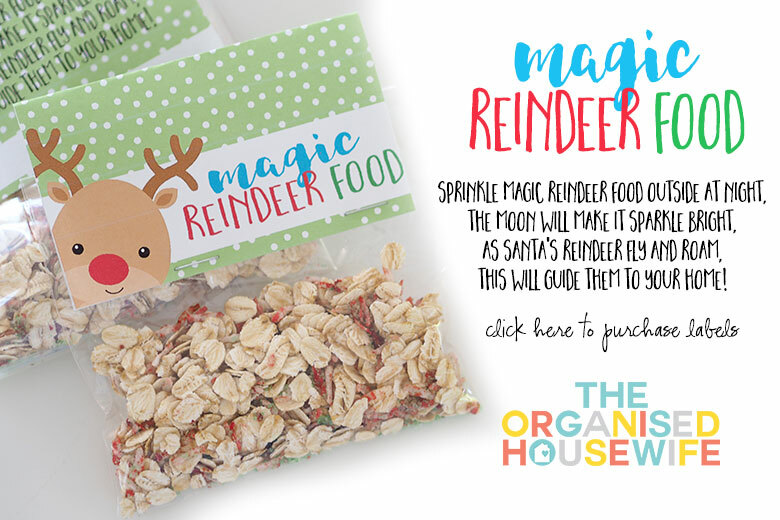 Spoon into cellophane bags and staple on a Magic Reindeer Food topper on top of the cellophane bag. below is an image of the front and back of the magic reindeer food bag topper. This is such a special and fun thing to make with the kids, I hope you enjoy this little tradition as much as I did when my kids were younger. Using dried coconut is a dangerous option for birds. It can swell inside their stomachs and cause their death.